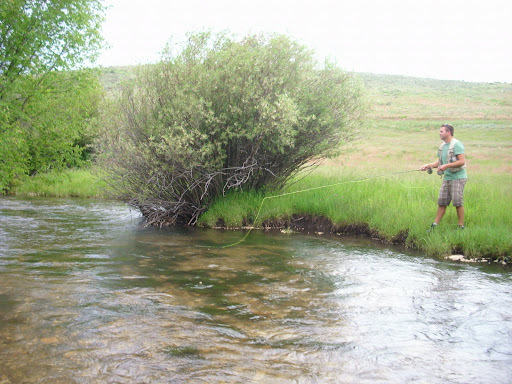 Summer is made for Fly-fishing. TOO MUCH FISHING? . . . NEVER!!! This is especially the case in Spring and Summer. 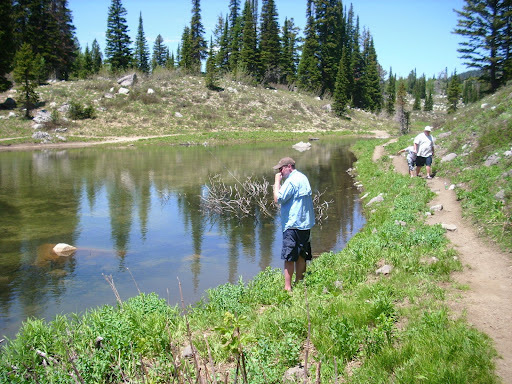 Summer in the Rockies is made for fly-fishing! Over the years, I have thoroughly enjoyed the bounties of this kindlier season. Below are some fishing highlights so far from this Summer. I hope you enjoy! 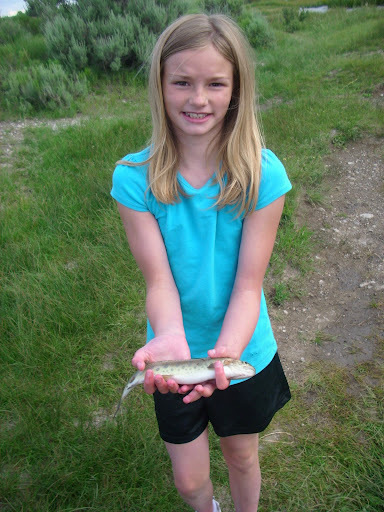 My daughter Eden reeling in her first trout from Bloomington Lake, a beautiful alpine lake in Idaho. I had the best luck in the alpine lake’s shallow, clear outlet catching the rare Bonneville Cutthroat. 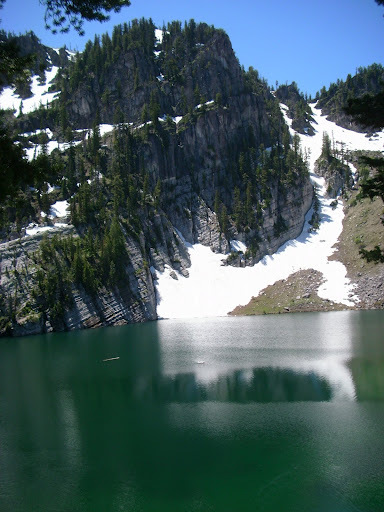 When it comes to alpine lakes, it’s hard to beat the scenery. My cousin Eric http://www.ericoutside.blogspot.com and I fished Bloomington Creek together. No fish, but still fun to hang out. 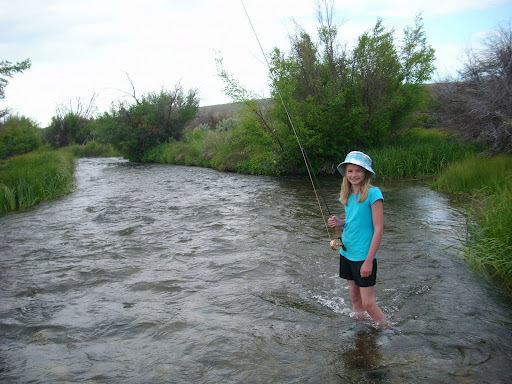 Nessy and I had the opportunity to fish a small creek the day before the Fourth of July. 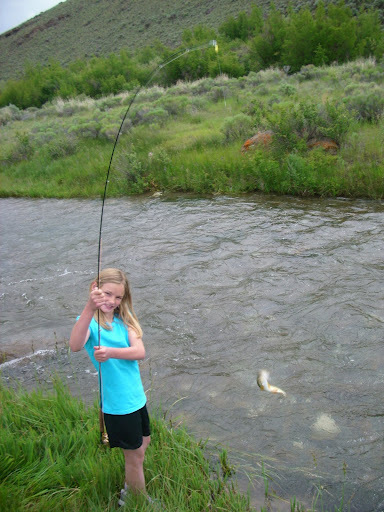 She was such a good sport and even beat her record from her first day of fly-fishing a month earlier(See “Proud Papa” below). She caught seven trout all by herself. 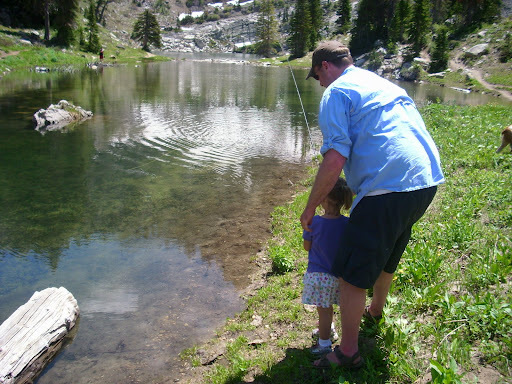 Fishing is a blast in and of itself, but fishing with your kids is just special. 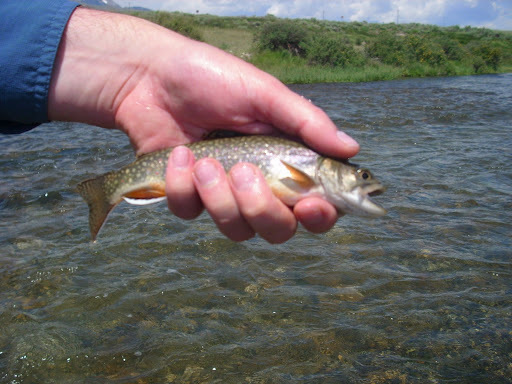 Eastern Brook Trout . . .in the West. Like I said, you can never get enough fishing in the Summer. Birds and bird dogs can wait until fall. Well, I'll give you the Summer fishing thing. Because you'd better get it done then! Winter doesn't offer one heckuva' lot in those high mountain valleys except snow cones.It's also a nice thing to do with the kids. Just don't neglect their marksmanship so they can all learn how to shoot better than the old boy.